Cats (especially indoor ones) need to be entertained and stimulated to exercise their natural needs, such as hunting, pouncing and scratching. It’s up to you to provide this essential entertainment to keep your cat happy and healthy – without these fun sessions of play, your cat can become depressed and withdrawn. Plan a set time every day to play with your cat. If you play at the same time every day your cat will know what to expect, as cats thrive on routine. Providing this regular play time also means you can bond with your moggy while nurturing their feline urges. 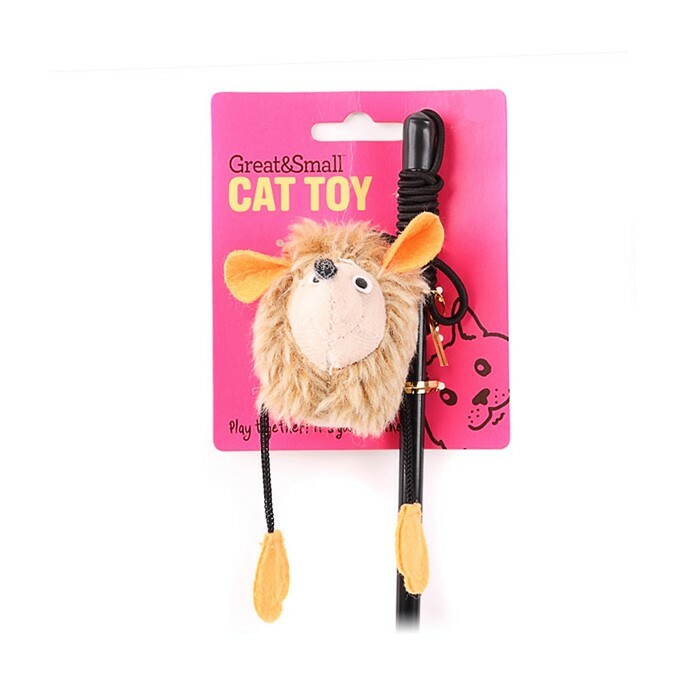 A dangle toy has a small furry object attached to the end of a wand by a long piece of string. You wave the wand around to make the object jump for your cat to pounce on it. This is an important type of play because it exercises your cat’s natural need to hunt. Cats are predatory creatures and they would naturally spend much of their time stalking small furry animals and birds (before bringing these delightful gifts home to your doorstep). Hiding some of your cat’s favourite treats around the house is another fun method of creating a hunting environment in your home, and vibrating and yelping toy mice are great to get cats in a flap because they mimic the real thing. Cats scratch things for several reasons; to remove the old outer layer on their claws, to stretch their body, as a sign of dominance toward other cats, and to leave a scent mark using the scent glands on their paws. If you don’t provide a suitable object for your cat to scratch, your sofa will end up looking like Swiss cheese. Good quality cat scratchers made from hardy sisal (which are fibres from the exotically named “agave” plant – now there’s something you don’t learn everyday!) do the job!